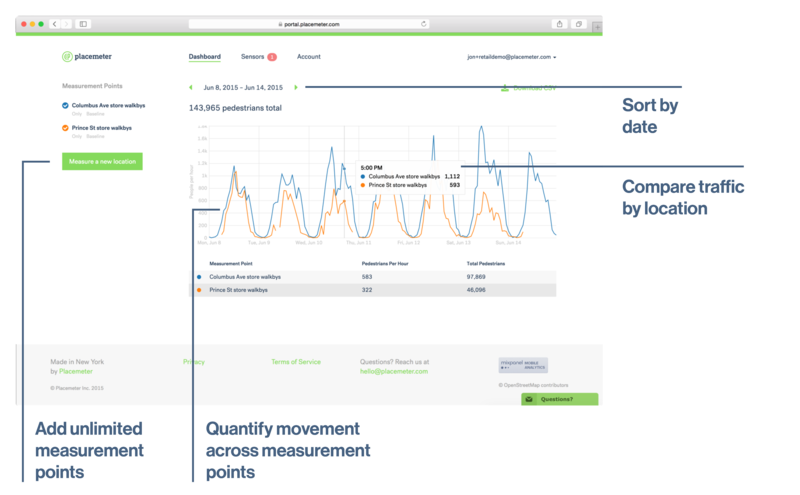 When it comes to quantifying things like foot traffic, retailers and municipalities often rely on beacons, Wi-Fi or satellite imagery. 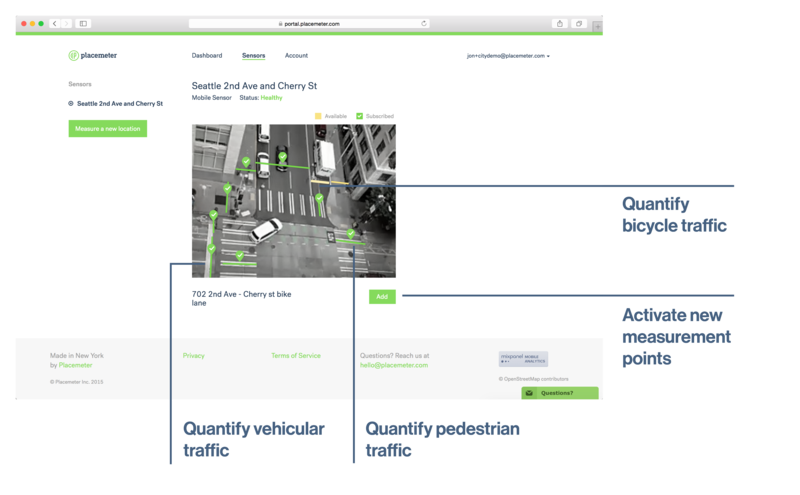 Placemeter wants to change that, and is launching a scalable platform that relies on video monitoring for more accurate results. Placemeter works by taking a video stream, and analyzing it via computer vision technology to suit the needs of a customer. If a retail shop wanted info on foot traffic in the area, the shop owners would be able to upload a video feed. The company tells us video takes about 24 hours to analyze, on average. 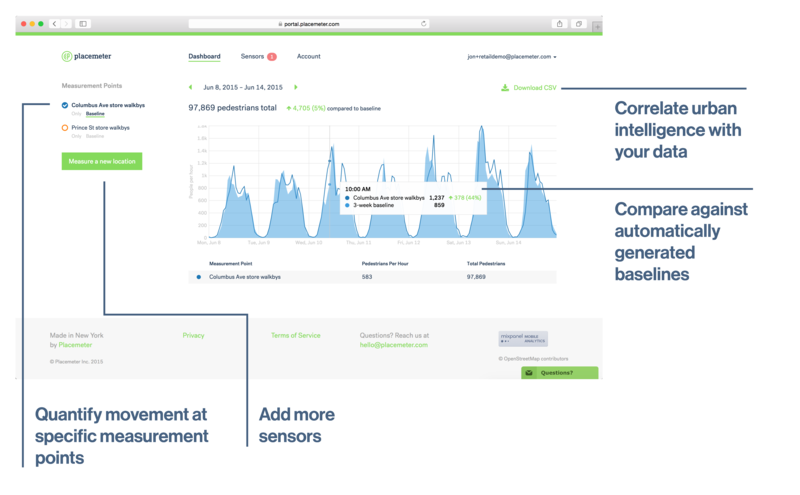 Customers can also ask the computer to monitor for just about anything related to movement, so Placemeter is highly customizable. From there, customers can get the granular data they want to know; how many slowed to peek through the windows, or turned left down a busy side-street? Placemeter also tags individuals by noting how they’re dressed, so retailers can get a better idea of things like how long a customer stays in a store; it’s Placemeter’s method for monitoring individuals without using intrusive method like facial recognition. 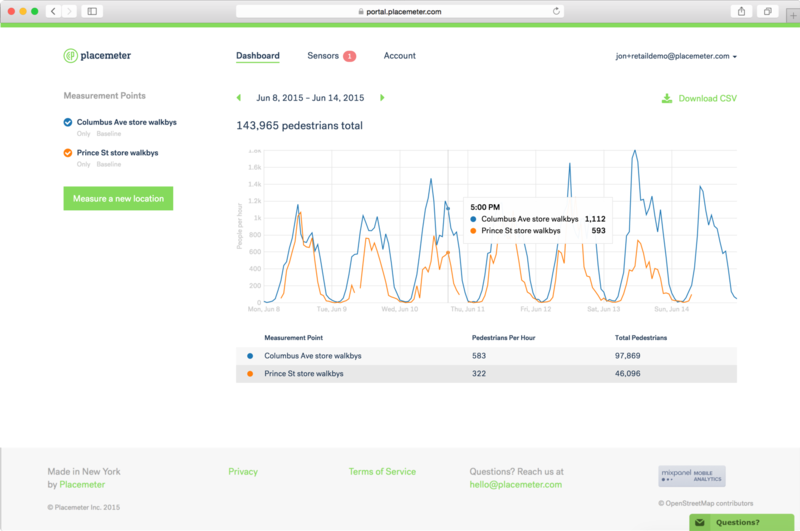 The same metrics and data gathering can also be applied to cities that may want info on how auto or foot traffic moves. A city may learn better methods for routing traffic, or if a particular sidewalk has a point where pedestrians bottleneck. 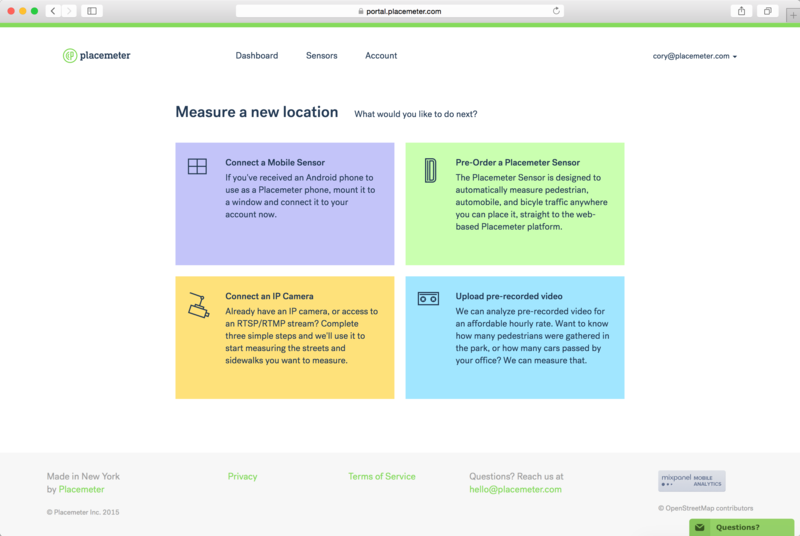 For businesses without the hardware to quantify its surroundings, Placemeter is also introducing the Placemeter Sensor. The discreet camera can be placed anywhere, and all video is processed locally to protect privacy. 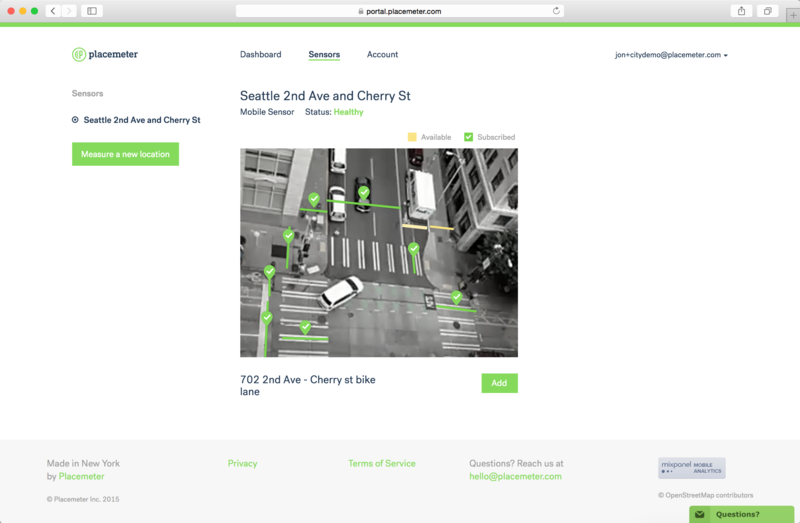 The only thing shared to Placemeter’s servers is the data gathered by the video monitoring; the service does not collect any video feeds. 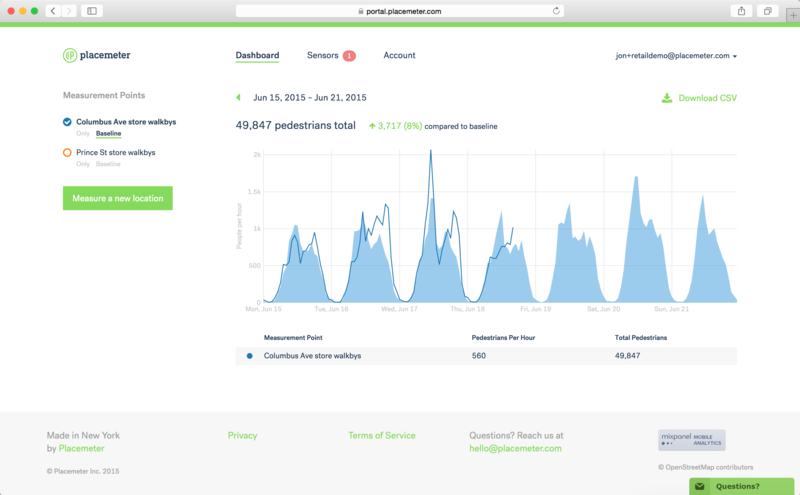 Placemeter is currently offering its service for $149 per month on a month-to-month basis. That price drops to $99 per month if customers sign an annual contract.